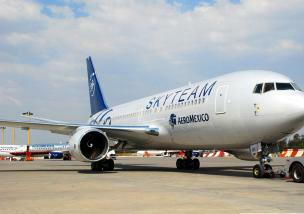 Aeromexico presented a Boeing 767 painted with the institutional colors of the SkyTeam global network. 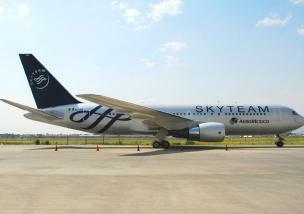 Each affiliate has a unique airplane signaled with the SkyTeam logos. Aeroflot, Aeromexico, Air France, Alitalia, China Southern Airlines, Continental Airlines, CSA Czech Airlines, Delta Airlines, KLM Royal Dutch Airlines, Korean Air, and Northwest Airlines. -A hub-and-spoke system with single check-in, which provides connectivity and an easy way for customers to travel using members of the same alliance from their departure city to any location in the world. 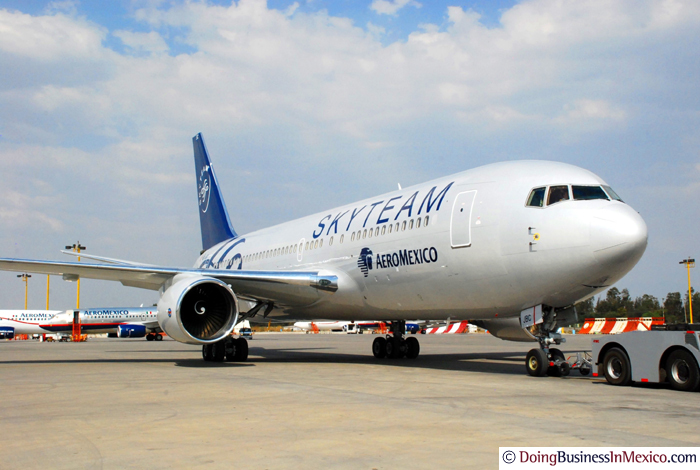 -Special offerings such as a Round the World fare pass that allows passengers to circle the globe via travel on any or all of SkyTeam’s members. -Corporate Contracts that offer travel solutions for multinational companies. -Access to more than 2,100 ticket offices and 400 airport lounges worldwide. 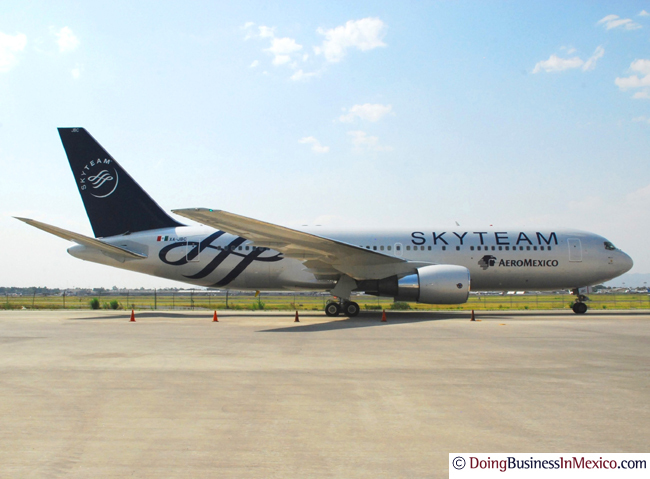 -Members of the alliance have agreements in place that allow passengers to earn miles, as well as redeem miles, with every SkyTeam airline. -Frequent flyers are able to obtain Multi-Carrier Awards, enabling them to use SkyTeam carriers with one single award ticket.